Double Din Video / Navigation. REFURBISHED BLUE AURA V30 BLACKLINE Integrated Tube Amplifier Speaker System. CONNECTIONS USB port for digital sound from PC or Laptop 3.5mm mini jack input Analogue stereo input Headphone output. Blue Aura Factory Refurbished products come directly from Blue Aura and have undergone RIGOROUS inspection to ensure they meet Blue Aura's STRICT quality standards for both sonic performance and mechanical integrity. These products are in GREAT condition and come COMPLETE with original packaging and accessories. Blue Aura - V30 - Vacuum Tube Amplifier System The Hybrid Vacuum Tube Amplifier is For music lovers who want to hear their compressed digital source devices in true analog form, the v30 will not fail to deliver, courtesy of the high quality in-built DAC and audio valves. The v30 has two 20W vacuum tube amplifiers, but it's the striking beauty of the v30 itself that adds a designer touch to any room. Much of the body is covered in a glitzy chrome finish, nicely complemented by black side panels. The front features large chrome knobs, allowing user volume control and switching between sound sources. Surrounded by two-tiered rack with chrome handles on either side, the two glowing 6N1 audio processing valves and 6E2 meter tube peek up through the top panel. The glowing green bar of the meter tube adds to its retro charm. The audio engineers and designers at Blue Aura have worked hard to ensure the amplifier and speakers are both sonically and aesthetically matched. Encased in matching black faux leather highlighted with white stitching, the two-way bass reflex speakers are comprised of a low frequency 3.5 inch paper cone and high frequency 3/4 inch soft dome tweeter, with a frequency response of 55Hz - 20kHz. At 5.5 pounds, the elegant, matching speakers fit almost anywhere with a 7 inch height, just over 6 inch depth and 4.5 inch width. 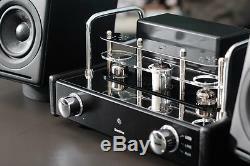 Description: Hybrid Vacuum Tube Amplifier. 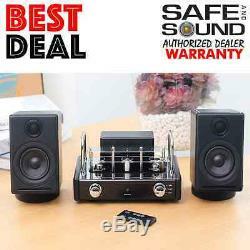 Includes Amplifier, 2 Passive WS30 Speakers, 2 Rubber Stands, and Remote Control. Number of Speakers per Package: 2. Number of Stands per Package: Rubber Stands. Frequency Response: 20Hz-20kHz +/- 1.5dB. Woofer: 3 1/2 Paper Cone. Amplifier Power: 20W Per Channel. 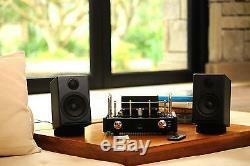 Amplifer Type: Vacuum Tube 6n1x2 6e2x1. Impedance: 4 / 8 Ohm. Enclosure: MDF Enclosure Covered in Faux Leather Grille Aluminum. An absolute work of art this thing is. Blue Aura V30 Blackline is a great system, providing excellent mids and a warm overall sound that will satisfy audiophiles looking for a system for a smaller room. Hi-Fi World Magzine - August 2012. Build quality is fantastic too. Blue Aura has once again come up trump with an audio system that boasts distinctive looks, luxurious build quality and silky sound. The added warmth and fullness of the valve technology makes it sound more satisfying than many transistor-based speakers. Product MUST be in LIKE NEW Resalable condition. You MUST have the ORIGINAL BOX and PACKAGING MATERIALS. You MUST have all of the original accessories, manuals etc. PLEASE NOTE: Products that arrive not in original packaging, missing accessories, without a Return Authorization or damaged will be REFUSED. Since 1983, Safe and Sound has been providing customers with quality products and service. We began as a small stereo shop and now we have transformed into a company well-versed in popular, trending home theater systems and speakers. While our store has changed physically and our customer base has grown exponentially, we have not lost focus of the traditional methods of business ethics that have been the foundation of our growing company. We deliver service which is, and has always been, friendly, honest, and personal. At Safe and Sound, we don't just gain a customer, we gain a lifelong relationship. However, you will remember the exceptional service you received. 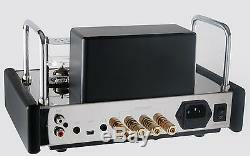 We design home and car stereo systems for customers with passion. 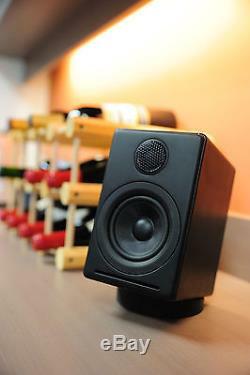 The same passion we had when we designed a similar speaker system for our own home or car. Having 100% belief in every brand we sell makes this passion come naturally. Celebrating well over 30 years in business, we are very fortunate and grateful for our company's past, how we have evolved to the present, and more importantly we are enthusiastic and motivated to grow our company further. Whether you are a new or returning customer, we look forward to serving you. Advantages of being a family owned business. A family is the most natural team. At Safe and Sound, we take pride in our innate ability to work as a team which translates to effective communication and understanding with our customers. More than just a job, this is our life! We understand our customers have time sensitive inquires, either sales related or technical. Being a family business, Safe and Sound is able to address your questions or issues when most other businesses simply cannot. We understand customers lead busy lifestyles and we strive to provide the convenience you deserve. We look forward to speaking with you! We encourage local customers to visit our showroom where we have many Car and Home Audio Products on Display for demonstration. The item "REFURBISHED BLUE AURA V30 BLACKLINE Integrated Tube Amplifier Speaker System" is in sale since Sunday, November 20, 2016. This item is in the category "Consumer Electronics\Portable Audio & Headphones\Portable Stereos & Boomboxes". The seller is "safeandsoundhq" and is located in Chicopee, Massachusetts.